An unaltered photocopy of your DD-214, WD AGO, ERB/ORB or other military issued document clearly displaying your U.S. Army Field Artillery primary or secondary MOS. 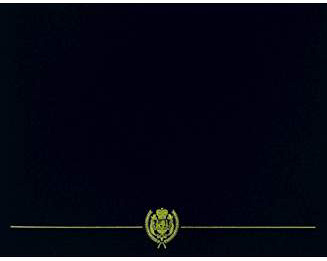 Branch Insignia: Two crossed field guns, gold color metal, thirteen-sixteenth inch in height. Crossed cannons (field guns) for Artillery have been in continuous use since 1834, when they were placed on regimental colors, knapsacks, and as part of the cap insignia for Artillery officers. In 1901, the Artillery was divided into Coast and Field Artillery and the branch insignia was modified by the addition of a plain scarlet oval at the intersection of the cannons. The Field Artillery insignia approved on 17 July 1902 had a gold wheel on the red oval and the Coast Artillery had a gold projectile on the red oval. This red oval and wheel was replaced on 4 April 1907 by two field guns. It was superseded in 1957 by the consolidated Artillery insignia consisting of the crossed field guns surmounted by a missile. In 1968 when the Air Defense Artillery and the Field Artillery were authorized to have separate insignia, the former Field Artillery insignia was reinstated. Branch Plaque: The plaque design has the branch insignia, letters and border in gold. The background is scarlet. Regimental Insignia: Personnel assigned to the Field Artillery branch affiliate with a specific regiment and wear the insignia of the affiliated regiment. Regimental Coat of Arms: There is no standard Field Artillery regimental flag to represent all of the Field Artillery regiments. Each regiment of Field Artillery has its own coat of arms that appears on the breast of a displayed eagle. The background of all the Field Artillery regimental flags is scarlet with yellow fringe. Branch Colors: Scarlet - 65006 cloth; 67111 yarn; 200 PMS. The uniform for the Corps of Artillery, which was formed in 1777, included red trimmings. The plume on the hat was also red. Except for a short period at the beginning of the 1800's when yellow was combined with it, scarlet has been the color of the Artillery throughout the history of the branch. Scarlet has been used by the Coast Artillery, Air Defense Artillery, and Field Artillery. Birthday: 17 November 1775. The Continental Congress unanimously elected Henry Knox "Colonel of the Regiment of Artillery" on 17 November 1775. The regiment formally entered service on 1 Jan 1776. 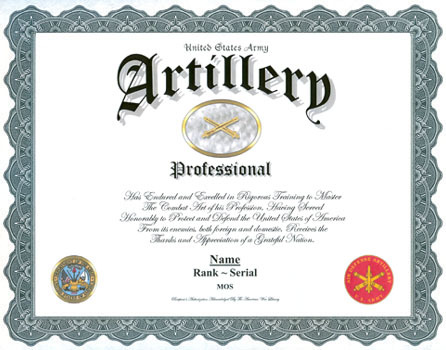 Although Field Artillery and Air Defense Artillery are separate branches, both inherit the traditions of the Artillery branch.